We like to think of our favourite street style stars as a diversified Rolodex of outfit ideas. When we need something clean and minimal, we turn to Emmanuelle Alt. When we desire a look that errs on the side of femininity, we gravitate toward Jenny Walton. When we want something experimental yet relatable, Pernille Teisbaek is our girl. But even with this vast network of stylish women, adding new sources of inspiration to the mix is always welcome. The more fashion the merrier. Our latest obsession? Alexandra Carl. She's a London-based Danish stylist whose look is at the divine intersection of '70s, British, and Parisian vibes. Think newsboy cap with a leather bomber jacket, flared jeans, and cool boots. It's everything. Carl began her career at the ripe age of 16 and since then she has worked with notable publications like Dansk, Love, Rika, and Vogue and brands including Tom Ford, H&M, and Self-Portrait. Check out her website to see her inspiring work. If you could use a new style crush right about now, we suggest you make it Carl. See below for our roundup of her best outfits, and shop our inspired picks to get the look. Want instant cool-girl vibes? This '70s-inspired outfit should do the trick. Pair a long coat with a striped shirt and flares. Finish it off with a cap. You can't go wrong with a classic button-down and blue jeans. Jazz it up with your favourite heels. These menswear blazers are all the rage right now; make yours feel unique with a cool belt cinched around the waist. Velvet, velvet, and more velvet. Did you know white shoes are a major trend for winter? There's something effortlessly cool-looking about a trench coat and band tee worn together. Even if you're not in an adventurous mood, bolds ankle boots can instantly lift your look. Sometimes it's best to let the accessories do the talking. With a chic, unique bomber jacket in your closet, you'll never dread winter again (almost). Fun fact: Carl is friends with Pernille Teisbaek. Stylish pals for the win! The Danish way to do Vetements. Proof that black is not boring. Jeans any '70s-loving lady would want in her wardrobe. Hop aboard the white-boot-trend train. Channel your inner rock star. Perfect for a quick finishing polish. Don't go through winter without a piece of velvet in tow. To wear year after year. Red suede feels unique in this circular shape. 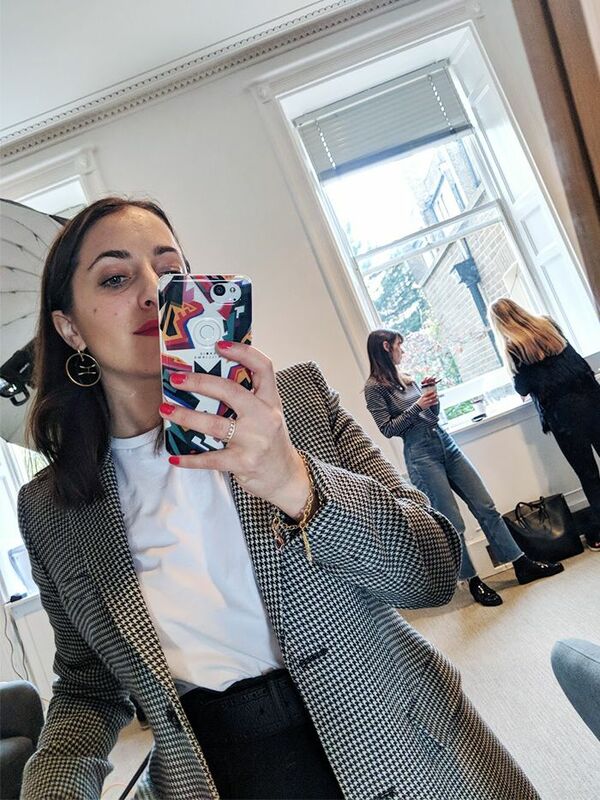 Want more fashion influencers? Meet Alana Hadid, the cool sister to Gigi and Bella.